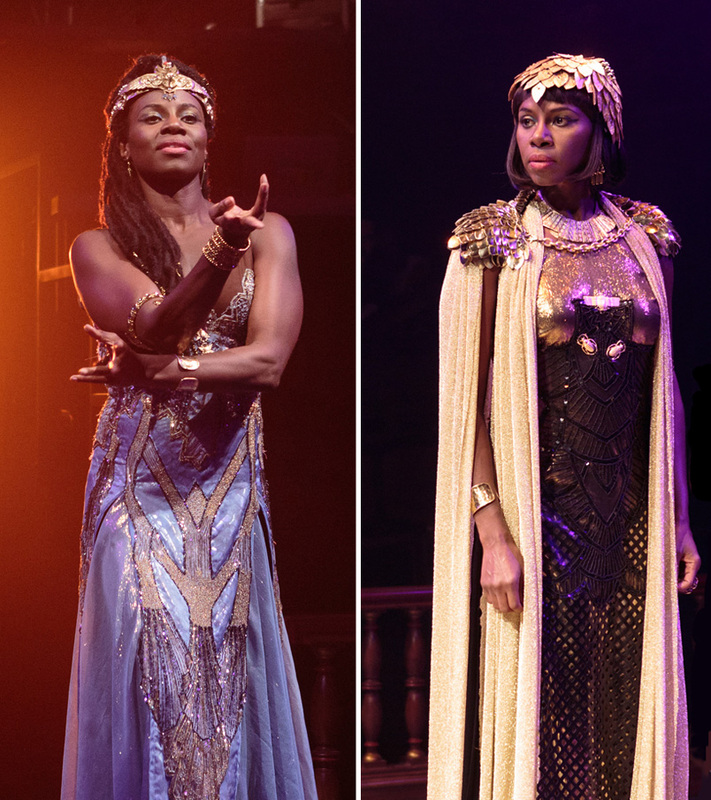 Shirine Babb as Cleopatra, Antony and Cleopatra, Folger Theatre, 2017. Photos by Teresa Wood. Costumes designed by Mariah Hale. Channel your inner Egyptian queen and go as Cleopatra from Antony and Cleopatra. Accessorizing with a live snake NOT recommended. Cody Nickell as Mark Antony, Antony and Cleopatra, Folger Theatre, 2017. Photo by Teresa Wood. 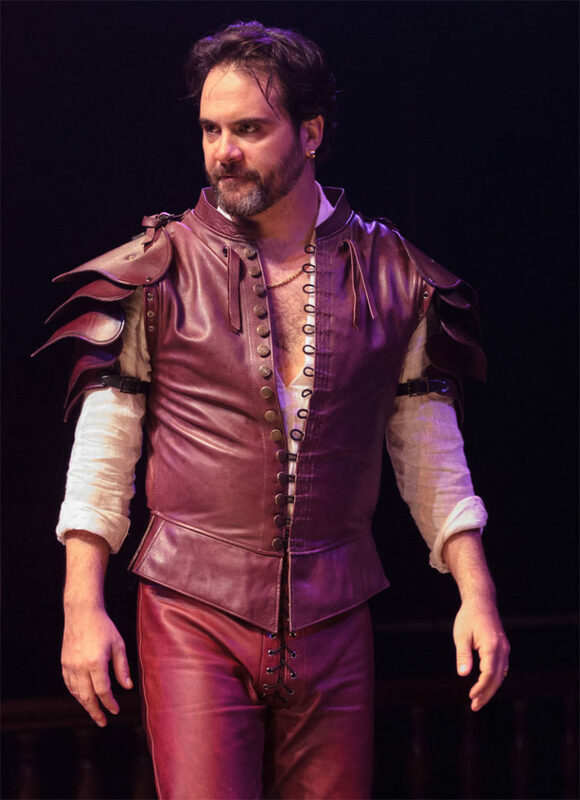 Antony and Cleopatra costume designer Mariah Hale decided to go with more of a leather-wearing pirate look for Cody Nickell’s Mark Antony, which you could imitate. However, you could always opt for the classic toga this Halloween. Hale, who also worked on Folger Theatre’s 2014 production of Julius Caesar, offers quick and easy directions for transforming a bed sheet. Delaney Williams as Falstaff in Folger Theatre’s 2008 production of Henry IV, Part 1, directed by Paul Mason Barnes. Photo by James Kegley. Lydia Mackay as Mistress Ford, Steven Young as Falstaff, and Constance Gold Parry as Mistress Page. The Merry Wives of Windsor, 2017. Shakespeare Dallas. Photo by Linda Blase. If you dress as Falstaff this Halloween, rowdy antics will be in character. You’ve got three Shakespeare plays to choose from, but don’t forget the antlers if you’re doing The Merry Wives of Windsor Falstaff. 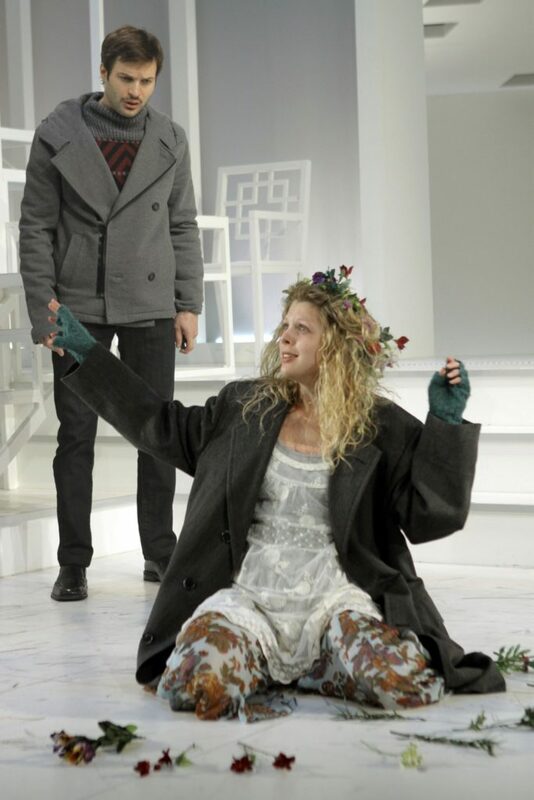 Lindsay Wochley as a mad Ophelia and Justin Adams as her brother, Laertes, in Hamlet at Folger Theatre, 2010. Photo by Carol Pratt. Flowers, straitjacket, acting crazy… If you want to re-write Ophelia’s ending in Hamlet, you could even add a life preserver to your costume. Marybeth Fritzkey as Ariel in The Tempest, Folger Theatre, 2007. Photo by Carol Pratt. Ariel is a spirit with magical powers in The Tempest, and the character has been portrayed onstage by both men and women. So you could take this in a number of directions. 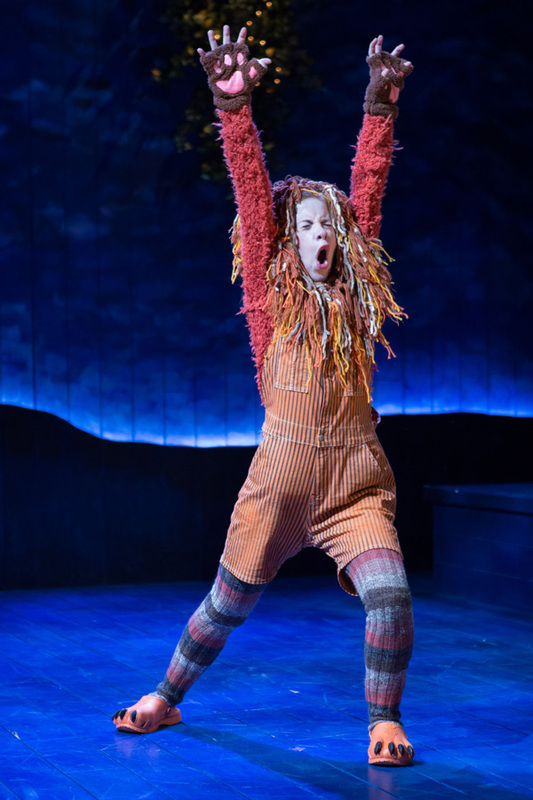 Megan Graves as Snug (Lion) in A Midsummer Night’s Dream, Folger Theatre, 2016. Photo by Teresa Wood. 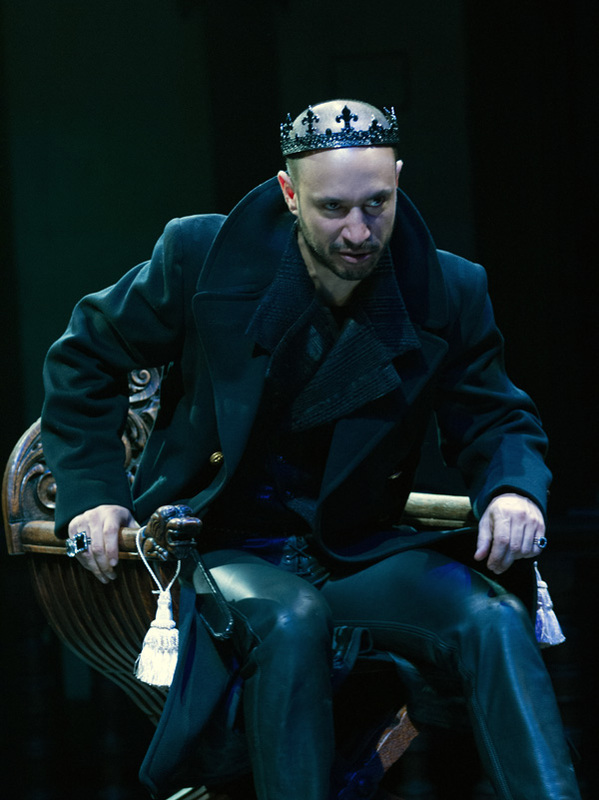 Drew Cortese in Richard III, directed by Robert Richmond, Folger Theatre, 2014. Photo by Teresa Wood. Costume designed by Mariah Hale. Grab a crown, practice your evil grimaces, and put a pillow under your jacket for the requisite hump. Jesse Austrian as Julia in The Two Gentlemen of Verona. Fiasco Theater at Folger Theatre, 2014. Photo by Teresa Wood. Emily Trask as Viola in Twelfth Night, Folger Theatre, 2013. Photo by Teresa Wood. Lindsay Alexandra Carter as Rosalind in As You Like It, Folger Theatre, 2017. Photo by Teresa Wood. Share your Shakespeare-themed Halloween photos with the Folger on Instagram (@folgerlibrary), Twitter (@folgerlibrary), or Facebook. As a middle school English teacher in West Virginia, I took the Folger Library training for teaching Shakespeare in Charleston, WV. I loved it, and took 25 eighth graders to perform A Midsummer Night’s Dream in 25 minutes. The following spring I had sixth, seventh, eighth, and ninth grade students performing four condensed Shakespeare plays at a Shakespeare Festival at our elementary school. My two daughters took part in the plays then. Now I have a grandaughter in the seventh grade. We did ..Midsummer.. with her sixth grade class last spring, and plan Macbeth for Shakespeare’s birthday this spring. It warms my heart!